When you engage with our program, you support diverse students on their journey to a profession that needs them. Whatever the nature of your business, IxD students are eager to collaborate with you and put their design thinking skills to work. A local design studio, verynice, and their client, The American Heart Association, challenged the IxD class “Design for Community Change” to tackle food deserts in South Los Angeles. “SMC's IXD students were a perfect fit to collaborate with our studio, verynice, and our client, the American Heart Association. They brought the curiosity, tools, and diversity of thought necessary to get out of the classroom, ask great questions, and involve community members in co-creating potential solutions about a topic as difficult as food deserts in LA. Working with them was an absolute pleasure. 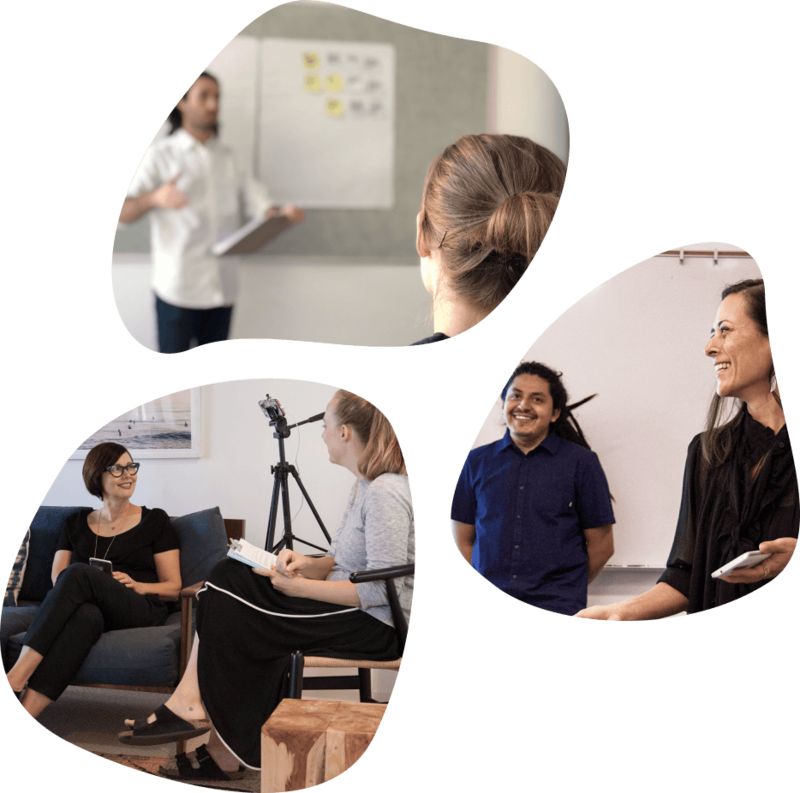 Within a matter of weeks, they were fully immersed in the topic area, as well as embedded in the communities they were designing with and committed to the client they were designing for. All of us at verynice were more than impressed by how professional and thoughtful each team was about how they work. Shane Chase - Design Strategist @ verynice. Interested in a similar collaboration with SMC Interaction Design students? Ready to engage with our program and help our students start their careers? Our industry liaison is here to understand your unique needs and find an engagement style that works for your business. Our students can’t wait to work with you!